Tuesday was a significant day personally for John Skidmore when he was inaugurated as president of the Chartered Institution of Wastes Management (CIWM) – and our congratulations go to him. It was significant day for the organisation itself when Skidmore launched the publication of its 2012 report, Professional Perspectives on Waste and Resource Management. CIWM expects the 44-page document to help develop its strategy in the coming year and it certainly covers the sector: policy, waste prevention and reuse, recycling, energy recovery, infrastructure, compliance, skills and training and last but certainly not least, data. A collation of resource management data was one of the key aims of the report which boasts some helpful tables, graphs and statistics. But the authors confronted a particular challenge, mentioned in several other parts of the report: the impact of England, Wales, Scotland, Northern Ireland and the Irish Republic adopting a variety of different policy positions on waste issues. The report declares: “CIWM remains concerned at the lack of comprehensive and accurate waste resources data and the inconsistencies in reporting over all five countries”. It is the democratic right of these countries to do so and a separate debate on the pros and cons is best left for another time. But CIWM is right to expect the use of common metrics. This should be addressed. 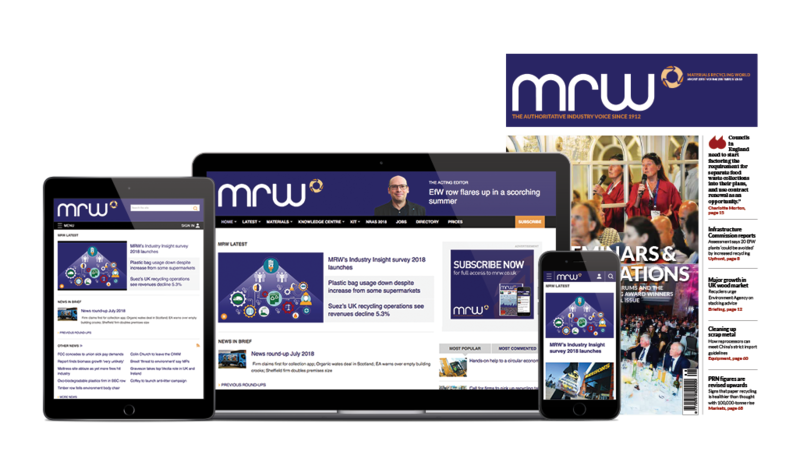 But it is not a new complaint and it is unlikely to be the last time that MRW reflects calls within the sector for greater inter-governmental co-operation.